I wish I had the patience to create amazing family travel videos like The Bucketlist Family does. But honestly, I barely have the patience to sit in front of my computer screen to edit my photos. Adding long video editing sessions into the mix is not going to be happening for me anytime soon. Wait, you say. Kristin, isn't’ there some shortcut—some life hack—to help you create videos easier than the old-fashioned way? Dear reader, this is your lucky day! May I present to you my favorite video creating hack: 1 Second Everyday. I originally came across the 1 Second Everyday app back in 2015 when Elise Blaha Cripe set her intention to capture 1 second every day in 2016 (you can see her very cool video here). I eagerly purchased and downloaded the app ready to document our family life. But after about 2 weeks I realised I just didn’t have the motivation to document our daily life through video in addition to my normal still pictures. I slowly forgot about the app and it sat their unused on my phone screen. That was until summer of last year. I’m not sure what motivated me exactly, but perhaps thinking of it in terms of family holidays instead of EVERY DAY helped to get me inspired to open the app again. Instead of feeling pressure to use the App every day, I could do a little experiment and just document our family travels. I always like experiments. Experiments are designed to test the waters—and best of all you never personally “fail” when you experiment. By nature, some experiments succeed, and some do not. With that thought in mind I became excited to start a simple, short project to experiment with this app. I didn’t have to commit to a year-long project and the app is a WHOLE lot easier than editing videos in iMovie! I could finally create a video documenting our travels without having to sit hours in front of my computer screen! Spoiler alert: the experiment was successful! Using the 1 Second Everyday App to create this simple snapshot of our 2017 summer holiday to the Algarve. Want to give the 1 Second Everyday App a try? Here are my thoughts before you buy. No more keeping your phone out to record every single moment. Capture your couple of seconds and then get back to making family memories. You always have your phone with you right? You can easily capture the moment but afterwards, stringing those moments together are easy, too. You can have your video ready to go the moment you get back from your holiday. I spent some of the flight home from our Portugal holiday last summer putting together our video and it it was ready to share the moment we hopped off the plane. 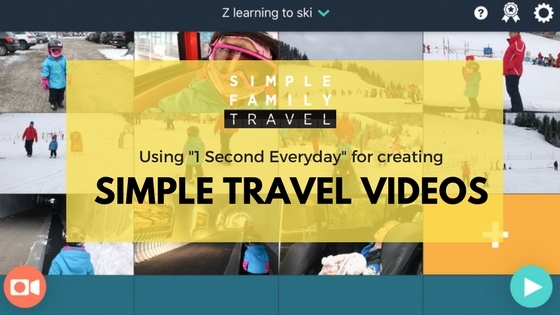 Watch as I create a video in the app "1 Second Everyday" of Z's first time of the skis. No more scrolling through your photos and videos searching for the highlights while your family and friends loose interest. Just press play, sit back and enjoy. This was the a habit I found hard to break at first, but creating horizontal videos makes for a nicer viewing experience. You can see in my video in Davos I used a mixture of horizontal and vertical videos which did not give it a smooth appearance. You can stretch your vertical photos in the app, but the quality isn't as good. Sometimes I just forgot to make a video, but never fear—iPhone Camera Live to the rescue! (I cannot for the life of me figure out how to turn that function off permanently) I was happy to discover that you can grab video from those photos you have taken with the live function on! Using the GoPro or your big camera to make video? Why import some of that video onto your phone. You can then upload this into the 1SE app. I love that this app gives me a sense of freedom. No more time spent worrying if I captured enough footage, no worrying about finding the time to edit a long movie. The video is just a highlight of the trip, so I didn’t spent a lot of time worrying if I captured the perfect second or not. The videos I have uploaded to Facebook look great on my phone but when viewed on a my large aren’t fabulous quality. But that has less to do with the App and more to do with the iPhone video quality I’ve selected. Higher quality takes up more space on your phone, so you have to weigh up the pros and cons here. The most recent update included the options of adding in 1.5 seconds which I think is great! But sometimes you want to share a bit more. I would love the option to increase to about 3 seconds, but then again, this starts to move away from the simplicity of the app, which is for me the main selling point. I would love to be able to add a title page to my videos But that can be easily worked around by using something like Canva or Adobe Spark and uploading that into the app. All in all, 1 Second Everyday is a fabulous app for helping put together simple family travel videos! And you aren’t restricted to travel, only your imagination is the limit. 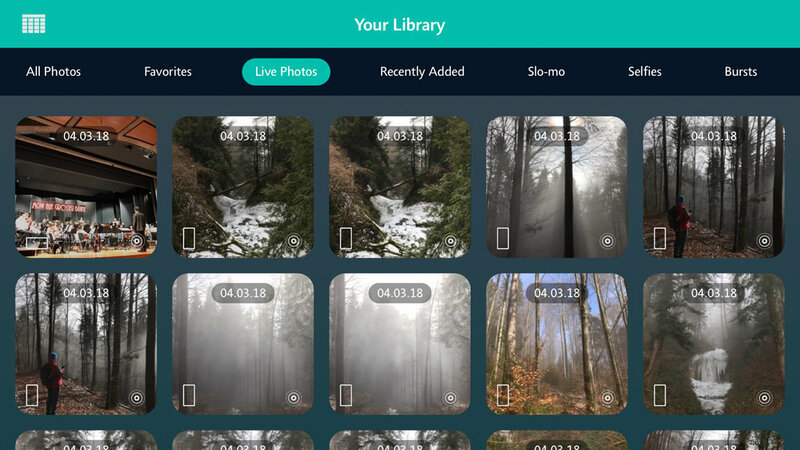 Create birthday highlights, videos of day trips or a video of your kids’ first time on skis. Or for the brave, document 1 second every single day! The price of the app is CHF 5.00 in the Swiss Apple Store which may seem steep compared to other apps, but it’s a price I am willing to pay for an app that helps me to create something we will cherish. And most importantly, it’s a great way to reduce the amount of time I am spending in front of a computer. Have you used the 1SE app to create videos? Or are you downloading the app now and about to make your first creation? I would love to see them! Come back to share them or tag @simplefamilytravel on social media!